Keynote Speaker, Double PhD doctorate, Double Guinness World Record holder, Freelance Researcher, Visually Impaired Athlete, & Qualified Lawyer. Sinead also is a double Guinness World Record Holder. In February 2018 she broke the Guinness World Record for furthest distance for a female on a treadmill in 12 hours. See these links Sinead is also the holder of a Guinness World Record for being the first blind person to complete a Marathon on each of the seven Continents, a feat which she completed in less than 7 days in January 2017. She is also the first Irish female to do the world marathon challenge. 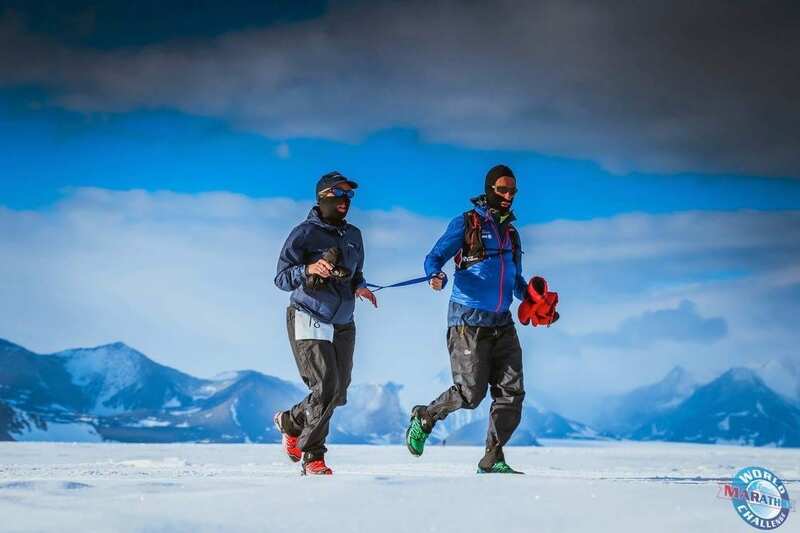 Sinead and her guide runner [John] completed their first Marathon of this challenge at Union Glacier, Antarctica followed by running a Marathon in Punta Arenas (South America), Miami (North America), Madrid (Europe), Marrakech (Africa), Dubai (Asia) and finally Sydney (Oceania). Sinead came joint-first in her marathon in Dubai. This is all remarkable given that Sinead only did her first marathon ever in October 2014 and only took up running in April 2012. The above achievements are admirable but are even more so when one considers that Sinead only has 5% vision and is registered as legally blind. Sinead has overcome a lot of adversity throughout her life and now wants to help others. Sinead proves how those who persist in spite of a disability can develop determination, motivation, and creativity. I have been very fortunate to work with some amazing brands over the years, in a number of capacities to include; Brand Ambassador, Expedition Sponsorship, New Product Tester and much more. I always have new adventures and challenges on the horizon, big and small, are you interested to collaborate on a particular project together? The word ‘inspirational’ gets thrown about easily these days but Sinead really is the epitome of the term. Sightsavers Ireland couldn’t have asked for a better, brighter ambassador for our Bright For Sight campaign. Sinead’s engaging style, intrinsic motivation and depth of knowledge as an advocate meant that she hit the ground running – true to form as always. Sinead Kane is a motivational speaker with a difference. Drawing on her personal story - double PHD doctorate and Double Guinness World Record holder one of which was for the small feat (!) of running 7 marathons on 7 continents in 7 days – she articulately and interactively reels the audience in leaving one simultaneously humbled, engaged and energised. With a constant focus on what those with disabilities can achieve, she shines a light on one of the key but often unspoken areas of Diversity & Inclusion. Sinead has participated in a number of events and presented to a range of audiences on behalf of Fighting Blindness over the last couple of years. She is an engaging story-teller with an ability to eloquently capture the audience’s attention and imagination with her words. Most recently at an event in Westport, the diverse audience, made up of corporate staff, people with sight loss and Fighting Blindness representatives, were captivated from start to finish.